An Entertainment Industry producer for over 20 years, Anne-Marie Mackay has been responsible for creating and overseeing the extraordinary successes of Propaganda Films and subsequently her own company, Palomar Pictures. Anne-Marie helped launch the careers of current movie notables including David Fincher, Antoine Fuqua, Michael Bay, Alek Keshisian, and Alex Proyas; and provided established directors like David Lynch and James Foley with short form opportunities. While representing directors to the record industry, she presided over hundreds of music film projects. At the same time she introduced a fresh view to the advertising world and Propaganda's television commercial division was born. Propaganda accrued annual revenues of nearly $40 million by 1990 in her music division alone. As a result, she is credited as being a major force behind one of the largest and most prolific independent production companies in the world. 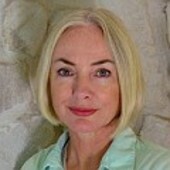 In 1992, Anne-Marie co-founded Palomar Pictures. Under her direction, the music department produced hundreds of videos and concerts for renowned artists including The Rolling Stones, Madonna, Tina Turner, Janet Jackson, Tom Petty, Peter Gabriel, Sting, Michael Jackson, Seal and Lenny Kravitz. And again she directed major talent like John Schlesinger, Gore Verbinski, Ben Stiller, Forest Whitaker, Joel Schumacher, Michael Caton Jones, and Sophia Coppola by diversifying their career paths. The same stable of directors were responsible for Palomar's highly successful commercial division which produced the original Bud frogs, Bud Bowl for the Super Bowl, Nike with Michael Jackson, the Anti-Smoking campaign -- a Cannes Gold Lion winner, and various notable spots for Coca Cola, Reebok, United Airlines, Converse, 7 Up, Mercedes, Saab and Skittles. Anne-Marie’s work on television includes Walter Mosley's Always Outnumbered, William S. Burrough's The Junky's Christmas, and the Brian Wilson documentary I Just Wasn't Made for These Times. Anne-Marie has been nominated for multiple Emmy's and Grammy's, including her nomination for her work as Executive Producer on Stranger Adventures. In January 2007 she oversaw the launch of a new daily game The Daily Rage on MTV.Com, Viacom's first joint venture in broadband entertainment. In October 2007 she wrote the story and game outline for Pepsi's new online launch of Mountain Dew's DEWMOCRACY. Forest Whitaker directed the project. This work was subsequently chosen by the WGA's Foundation Library and displayed for other writer's benefit with regard to video game writing. Concurrently Anne-Marie created her own company, Balhund Entertainment, which produces The World Of The Magus, a revolutionary board game with card, on-line, IPhone and graphic novel components. She is also working with HBO films to develop an original screenplay based upon the classic Blues musician Robert Johnson in partnership with James White the Oscar nominated writer of the movie Ray'. Currently she is again consulting Pepsi on a new dramatic, interactive series.